Olivia Snow Gilmore is a musician from New York City. Her musical journey began at age eight, when she started playing Harry Potter and Star Wars songs on the trumpet all day until her parents told her it was time for dinner. Her passion for classical music encouraged her to pursue music in high school, attending an orchestra conservatory, summer music camp, and even playing trumpet in a local rock band! 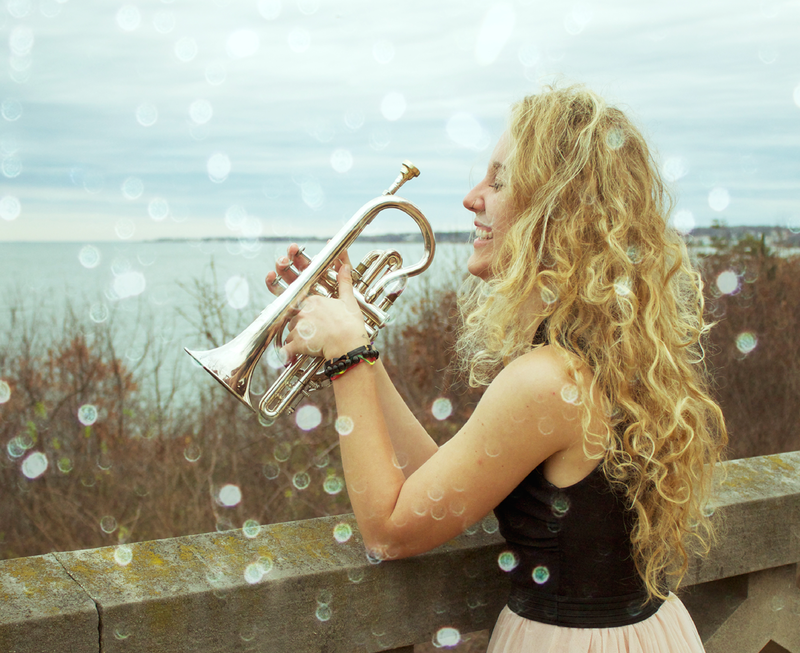 At age 18 she attended Vanderbilt University in Nashville, Tennessee as a Trumpet Performance major. During her second year she began classical voice studies, and then fell in love with jazz singing while studying music in France. During her third year, Olivia began seriously studying jazz and eventually completed a minor in jazz voice. While at university, Olivia played and sang in many different kinds of ensembles such as: orchestra, wind ensemble, jazz choir, big band, and small chamber ensembles. She also participated in musical outreach programs at the local Children’s Hospital and completed undergraduate research on music and the brain and the benefits of music therapy. Music has carried Olivia to many places, such as on an orchestra tour to China, to the South of France to study trumpet and Jazz, to Lumbini Nepal as a music teacher for a non-profit all girls’ school, and finally to the Kathmandu Jazz Conservatory. It is her way of connecting with people and making friends all around the world, and it is her favorite language to hold conversations in. Music is Olivia’s best friend and she looks forward to sharing her passion for it with her new students at KJC.